Palm Beach Divorce Lawyer Lisa Marie Macci and Broward County Family Lawyer Elizabeth J. Kates. Are Psychologists Hiding a Lack of Expertise? The true believers, just like believers in a religion, can be found arguing vehemently, offended at the criticism that has been thrown their way. They take it personally. (See, e.g., reviews of "What's Wrong With the Rorschach" on amazon, linked below). Not all of the vehement and insulted are true believers, of course. Some are like the sociopathic serial cheater who screams at his wife who suspects him of cheating that he's now fed up with not being trusted. 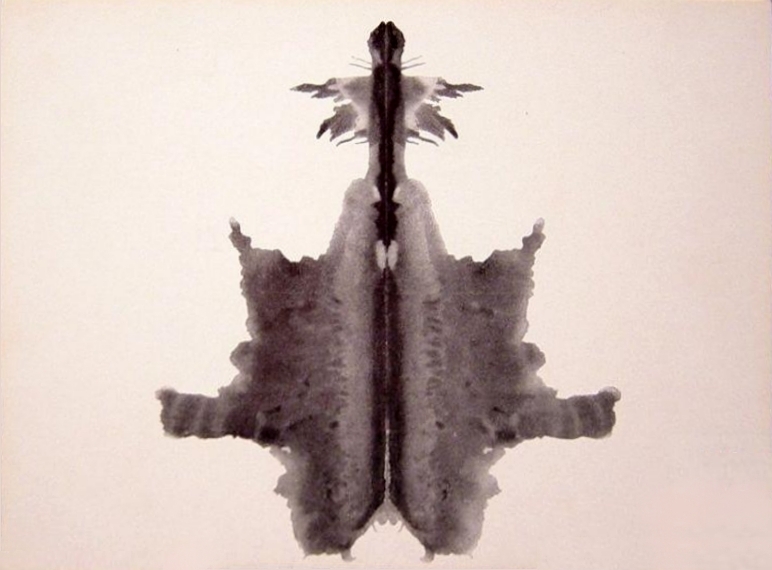 Some attempt to justify the use of the Rorschach and similar tests as good way to "prompt" interviewing, thus allowing the application of "clinical judgment" and the psychologist's impressions about the person being interviewed. Used this way, the Rorschach test results are trash per se. A forensic psychological examiner, essentially a stranger receiving among other things possibly completely false information from opposing parties in a stressed and artificial setting, simply does not have the breadth or depth of familiarity or perspective with regard to the situation and individuals involved even to begin to form an opinion using "clinical judgment" that is anything close to reliable. (Their formal assessments frequently are equally bad, but in theory at least, the evidence on which these opinions are based is supposed to be objective and transparent, thus permitting review.) At any rate, "clinical judgment" and other unreliable gut feelings and guesswork are inappropriate in the forensic context. 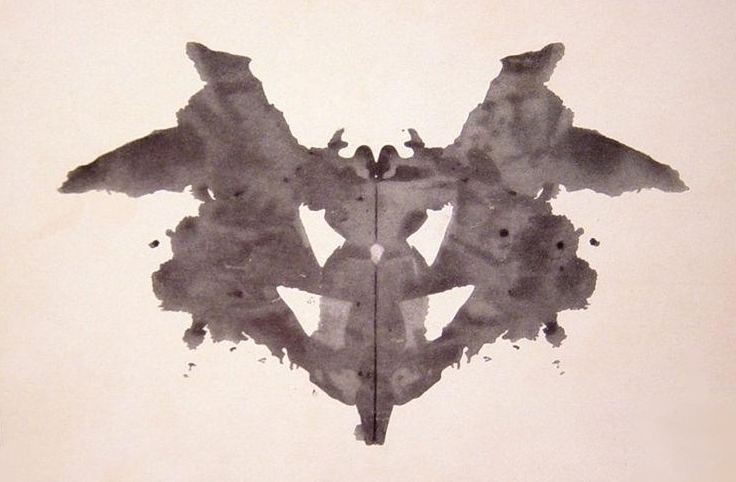 Even if, arguendo, the Rorschach has some validity, the test is so tedious to "properly" administer and "score" that this lawyer strongly suspects that many forensic psychologists who use it in child custody evaluations don't in fact bother to administer or score it as it is supposed to be administered and scored. What they actually do is a half-assed "interview" using the cards. And then they report or say what they want to report or say. (Who was there to see what they did or said or what the subject did or said, or whether what they wrote down was accurate? Who is going to argue with them?) Not that it necessarily worsens the defects if there are bogus results claimed in connection with a test that is bogus anyway, but it is perhaps one of the many reasons that psychs refuse to turn over their test data and notes in discovery. The danger presented by all of these tests, as I've stated repeatedly over the years, is that they lend the appearance of expertise where there is no expertise to be had. If you're a lawyer or litigant, ideally there will not be any forensic evaluator giving any psychological tests at all in your case. If this is unavoidable, however, at the very least you will want to get a ruling in connection with the court appointment that the Rorschach (and any other "projective, inappropriate, unreliable, invalid and/or incorrectly administered instruments or procedures") will not be used. Below is a short excerpt from the introduction and first chapter of The Cult of Personality, by Anne Murphy Paul; below that are the Rorschach cards, then more on psych testing and child custody evaluations. The story begins with Hermann Rorschach, a Swiss psychiatrist possessed by a desire to create "a key to the knowledge of mankind." 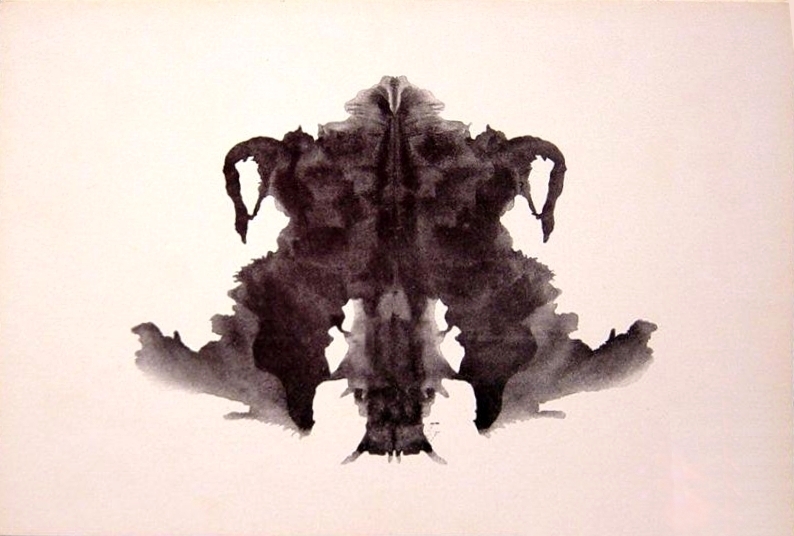 The inkblot test that bears his name, though one of psychologists' favorite tools for more than fifty years, has come under increasingly intense criticism... numerous detractors charge that the Rorschach... "overpathologists", making healthy individuals look sick. Multiple investigations have concluded that many of the test's results are simply not supported by evidence. 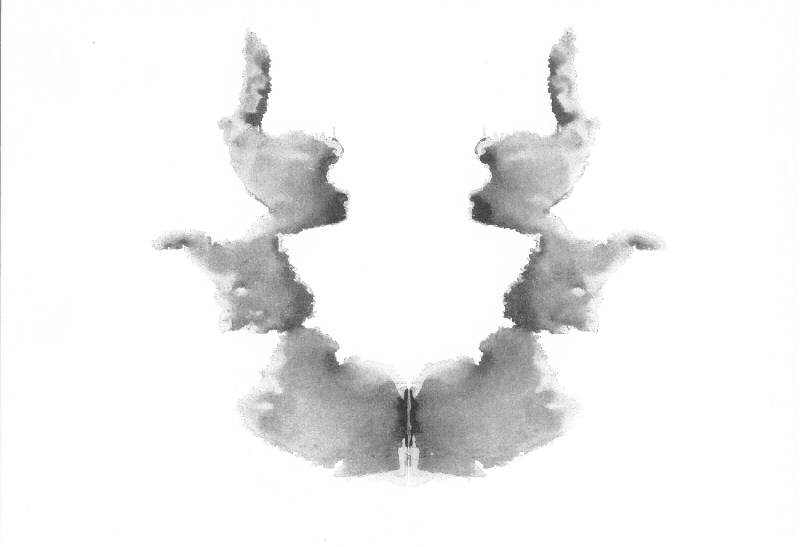 Yet the Rorschach is still used by eight out of ten clinical psychologists, administered in nearly a third of emotional injury assessments and in almost half of child custody evaluations... p. xii. 1917...Reading Hens's paper, Rorschach felt the painful jab of professional jealousy -- but also a gratifying flash of insight. Hens, he realized, had focused on the content of what his subjects discerned in the blots. 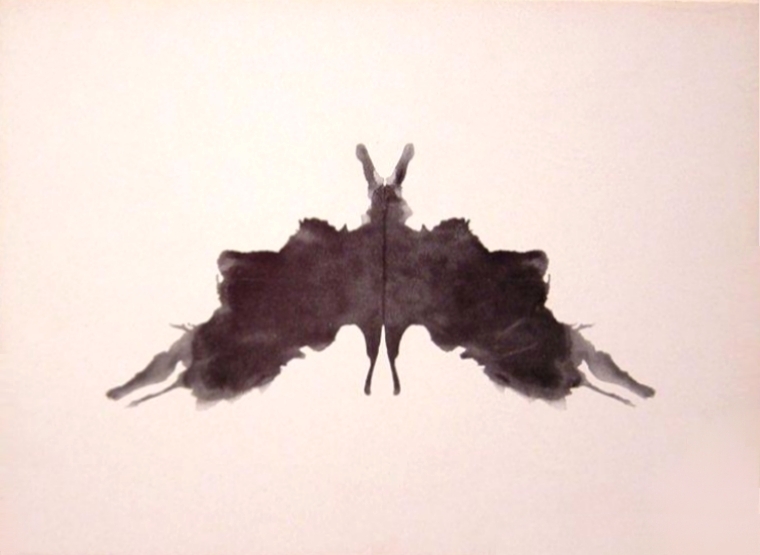 For Rorschach, however, what his patients saw mattered less than how they saw it: Did they take in the entire shape, or did they concentrate on one part? Were the figures they saw moving or still? How did they react when colored blots were introduced? Such perceptual processes, Rorschach believed, revealed far more about the viewer than the simple content of their answers... p. 19. The test's potential defects first came to Wood's attention when he was asked to consult on a custody case involving allegations of child abuse. He was troubled to learn that although the mother in the case was described by several trustworthy sources as honest, caring, and sensible, her Rorschach test labeled her seriously disturbed, prone to pathological lying, and unable to express affection to her children. 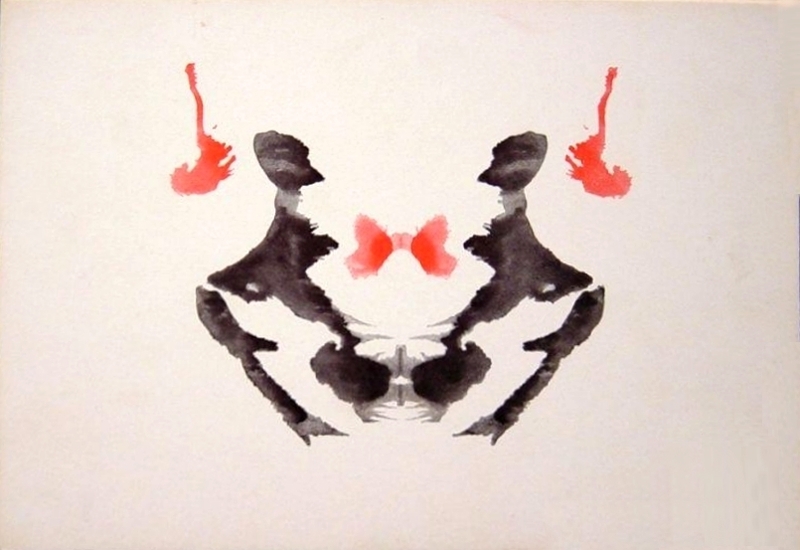 I didn't know then that the Rorschach was a hoax," says Wood. "I started digging into the research." The result was a series of articles beginning with his 1996 publication in Psychological Science, and eventually a book, What's Wrong With the Rorschach, written with M. Teresa Nezworski, Scott Lilienfeld, and Howard Garb and released in 2003. Wood and his coauthors' numerous criticisms of the Comprehensive System [Exner Comprehensive System for interpreting the Rorschach] come down to three very serious charges. The second of the group's criticisms concerns the "norms" provided by the Comprehensive System, or the standards of normality against which test takers are judged. The Rorschach routinely "overpathologizes" healthy people, Wood and the others maintain, making them seem much more dysfunctional than they really are... 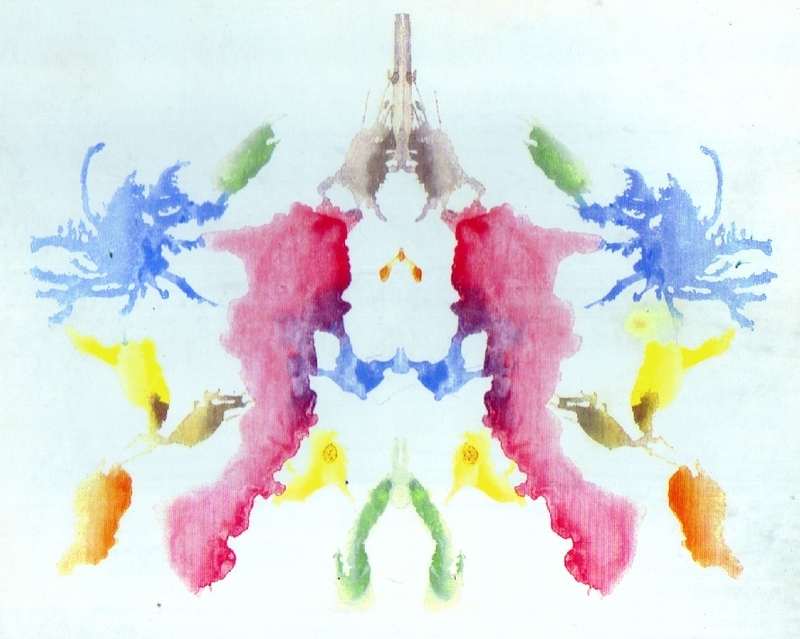 If Rorschach scores for a normal adult are interpreted according to Exner's norms... that person will appear "self-focused and narcissistic," "unconventional with impaired judgment and distorted perceptions or reality," "depressed, anxious, tense, and constrained in emotional expression," "insecure and fearful of involvement," "vacillating and inefficient," with "low empathy," "a tendency to withdraw from emotions," and "poor emotional control." The Comprehensive System's model of normality... doesn't actually represent normal people. 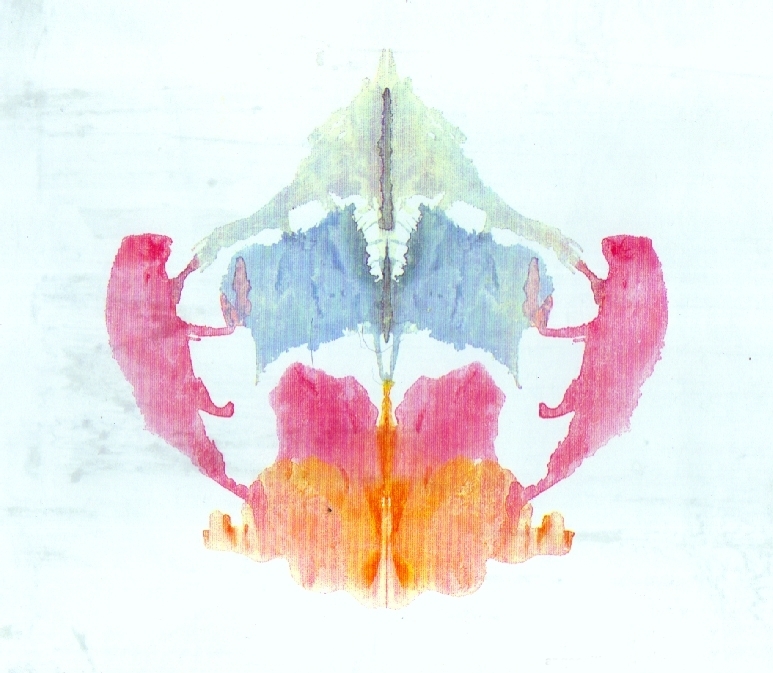 Below, the Rorschach cards. 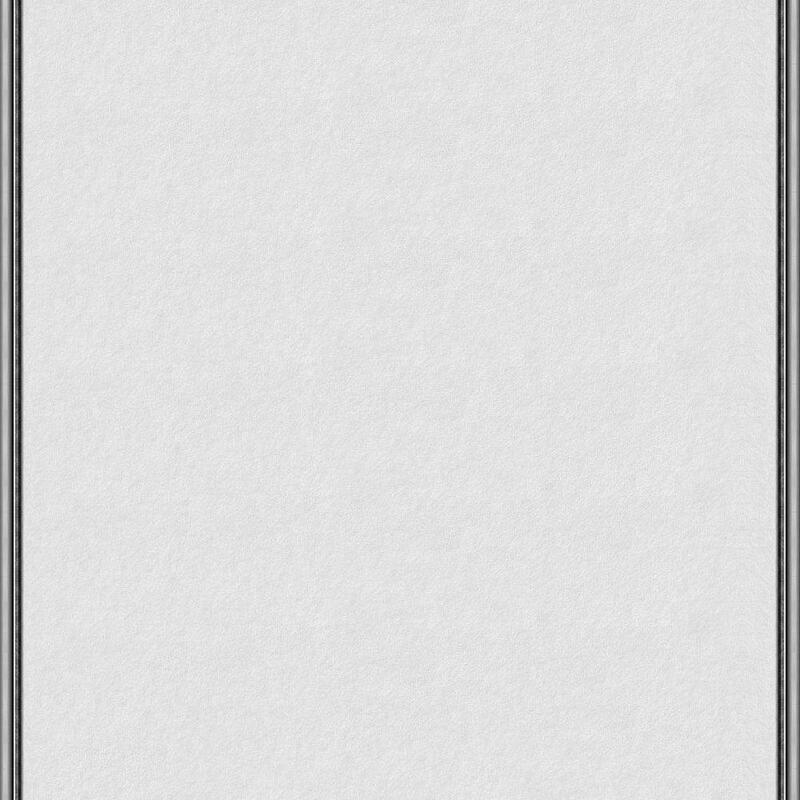 You are shown the card and asked what you see in it. It's a parlor game. Keep in mind, though, that this horseshit when taken as gospel by a psych who believes in it, involves more than "what" the responses are, such as whether you saw a monster or "insect" when if you were more normal you should have seen a dog or "butterfly"-- although if you see only blood and vaginas in all the cards, or insist they are all "inkblots", you're in more trouble with the psych than if you see a variety of people doing things, flowers and butterflies. You're also in trouble if you are unduly visually creative or if you're not, and can't think of much. If you are prone to wisecracking or being Tosh-like, remember that forensic psychs are often humorless people, but even if your forensic is not, the scoring system takes your responses with deadly seriousness. Seriously? Walk out? Just Leave? -- How? "If a professional psychologist is 'evaluating' you in a situation in which you are at risk and asks you for responses to ink blots or to incomplete sentences, or for a drawing of anything, walk out of that psychologist's office. Going through with such an examination creates the danger of having a serious decision made about you on totally invalid grounds. If your contact with the psychologist involves a legal matter, your civil liberties themselves may be at stake." -- Robyn Dawes, Ph.D. "Is Mental Health Treatment a Fraud"
As soon as the psychologist commences an unanticipated Rorschach or other projective test, the litigant should say politely "I am familiar with this test, and I decline to take it," and then say nothing more about the test, about the issue, or in response to any questions about what the litigant discussed or did with the litigant's lawyer or others to prepare for the evaluation, or about the litigant's reasoning or feelings about the matter (a violation of attorney-client privilege and work product.) 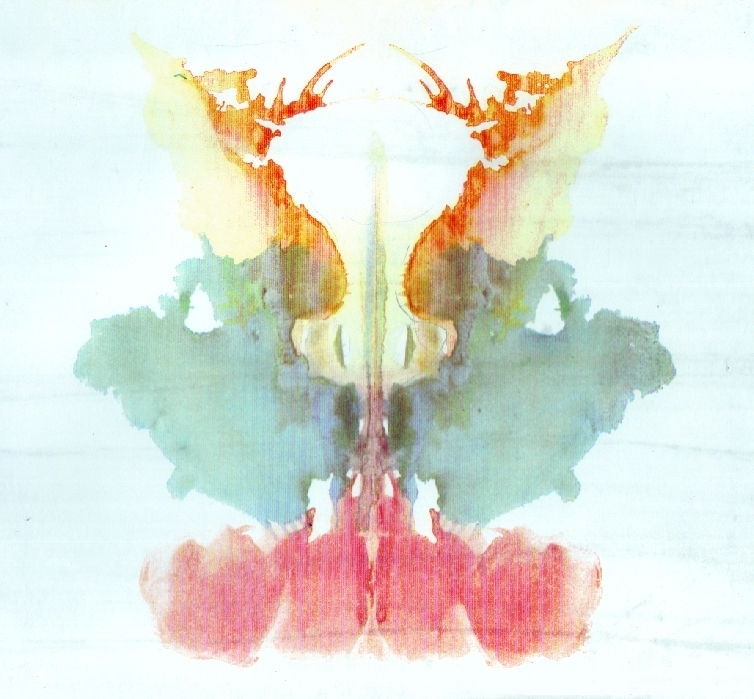 The psychologist should comply with this request immediately and pleasantly, because protocol for the administration of the Rorschach provides that persons familiar with the test should not take it. The evaluator may not be readily compliant however, for various reasons, such as having already administered the test to the litigant's spouse and wanting to maintain parity, or desiring the fees, or taking it personally that the litigant (especially if a woman) has questioned the evaluator's authority or judgment, or because the litigant is the party who the evaluator already disfavors. The psychologist also may try to substitute another projective test (e.g. TAT, Thematic Apperception Test, cards with story-telling. 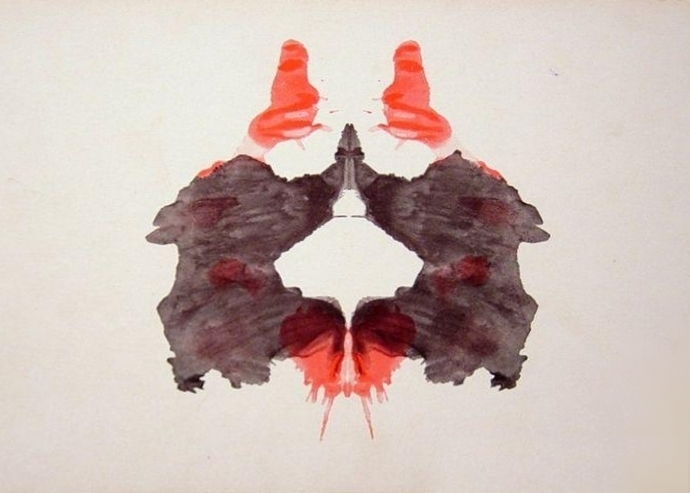 There is even less evidence of validity for this test than the Rorschach.). (None of them are appropriate.) The litigant may need to state that he declines to take any projective psychological test, and also, when pressed for reasons, say "I'm unwilling to discuss..." as many times as may be necessary. At this point, the client may (and probably should) smile, stand up, announce that the rest of the appointment will need to be rescheduled for another time, and start walking out. In similar fashion, a polite I'm sorry statement to the effect that the rest of the appointment will have to be postponed to another time also can be done any time a litigant feels angry, emotional, coerced, intimidated, tired, unwell, feels a fever/headache/diarrhea/cramps coming on, encounters criticism or resistance, or just feels the need to have a time-out to consult with his lawyer. The litigant may handle the situation this way whether or not he sincerely intends to reschedule with this evaluator, or instead intends to seek a replacement of the evaluator because of a lack of rapport or comfort level with the evaluator, or lack of confidence in the forensic's procedures. As long as the psychologist has been compensated for his time that was set aside on that day, the psychologist is not entitled to demand explanations or to be given details that then can be argued with. It is not the psychologist's call to make. The otherwise cooperative and compliant client is entitled to know that he may make this decision (caveat the unlikely circumstance that the client already is under a specific court order to subject himself to an invalid psychological test), and that he is entitled to assert his due process rights, and that doing so will not be allowed to hurt his case. If the evaluator gets bossy or negative about it, the evaluator should be dismissed, because the evaluator has become biased and/or injected his ego or personal interests inappropriately into the case. The client retains the right to say, "I don't feel that I can articulately explain right now...", "I don't want to ruin our rapport...", "I'm unwilling to discuss it right now...", "I am thinking that it would be better to finish this appointment another day", "I or my attorney will contact you later with regard to continuing this appointment" and similar polite but noncommittal comments. Then he should stand up. And walk out. Smile. Be nice. Refuse to argue. Refuse to discuss. Maintain a quiet and peaceful demeanor. And leave. Why is this the appropriate action. First, a parent should have the presence of mind, maturity, assertiveness, and sense of authoritativeness to be able to do this. (Parents are called upon to stand up for children and protect them too from things that could hurt them.) At this point, the evaluator should not be opining on the matter or about the parent because the parent in fact has done nothing inappropriate and also because the evaluation has not been completed. It is inappropriate for the evaluator to claim a stake in the matter (if he does complain or inject himself into the proceedings, seek to have him removed from the case because now there is bias. Be grateful for finding out about the evaluator's personality issues and bias against the litigant earlier rather than later.) Second, the competent lawyer should be ready, willing and able to defend the client who has complied with the court order and has cooperated: promptly attended the appointment, paid his fees, behaved politely, and wishes to be assessed only in a way that is unbiased and based on reliable evidence. Hash it out in court now if necessary. Not later, when it might be too late. It is far preferable -- and easier and cheaper in the long run -- to resolve forensic issues in court before an evaluation is completed, before the psychologist can opine, before time is short pending a trial or hearing, and before the client can be perceived as not credible or merely disgruntled over an unfavorable evaluation. After a bad evaluation, you are behind the eight ball, as they say. Issues that should be resolved before any evaluation is commenced or completed may include not only whether and what tests appropriately will be administered, but also clarifying discovery expectations (fork it over, all of it, to both attorneys, as and when it comes in), video- or audio-taping, having a court reporter present, additional possible fees and costs and rates that the psychologist will charge in connection with discovery, deposition, copies, and in-court testimony, what "understandings" and agreements and extra-judicial requirements that are not in the original court order the psychologist thinks he may demand the client sign or adhere to (all arguably inappropriate if your client was under the duress of an involuntary court order), the specific question(s) to be answered by the psychologist (so that you can identify and limit churning and object when the psych is going beyond his marching orders), and other parameters and specifics of the "psychological assessment" that were not previously addressed when the court earlier ordered the "evaluation" and appointed the evaluator. These matters all should be brought back before the court and resolved. The best time to do that is before the psychologist has uttered an opinion about your client. If you're a litigant, just say no. If you're a lawyer, stop suggesting or agreeing to child custody evaluations and start practicing law. If you're a judge, stop wasting the time and resources of the court system, the litigants and the taxpayer on psychological forensics. Stop it. Stop it now. It has become apparent to me that in the course of their graduate schooling and advanced "trainings", most psychologists form beliefs that somehow as they invest more time and effort into their studies, that when they gather "data" in each forensic or clinical setting, they will achieve a certain kind of facility, or expertise, a higher knowledge than "laymen" about what makes people tick: their emotions, relationships, circumstances, and behavior. They believe that the time and effort they are putting into their studies should mean that they will at some point easily understand the whys and wherefores of a situation, know what to do about it, and have sage advice, solutions and treatments to dispense. This is a reasonable expectation. This is the posturing, after all, of their mentors and professors. This is what is has been propagandized to the public for many decades, put out into the common discourse and assumptions by psych trade promotion organizations, and magazines, and television shows. The presumptive legitimacy and efficacy of applied psychology has, like religion, permeated our culture and seeped into our assumptions. But the psychology students do not learn to do this, although they rarely admit that publicly. They learn to follow methologies and protocols laid out by others, but wisdom is not achieved. They are not becoming "experts". Here and there are easily learned and fairly simple bits and pieces of information, what to say in this or that clinical situation, how to handle people or manipulate them, and so forth. "Tricks of the trade." But these all are things that some people know intuitively, and that many masters-level therapists, lay counselors, trial lawyers, salespeople, parents, preachers, coaches, politicians, conmen and others also know and didn't need to formally study psychology to understand and use. Surely all the difficult schooling, and the attainment of a doctorate, must give practicing psychologists some expert skill in doing something compared with other people? What. Psychiatrists, of course, already have an expertise. They are "real" doctors, M.D.s. As such, they can fall back on their status as medical experts even when the public starts to frown on psychotherapy and lobotomy as silly or worse. And they can prescribe drugs. But psychologists are not physicians. They are not experts at medical anything. If psychology practitioners are to be more than overeducated lay counselors, self-preservation (and trade preservation), necessitates that the field lay claim to a niche of expertise. Would that niche be scientific data gathering and analyzing, then, given that the psych has spent years working on a research thesis to attain a Ph.D.? Would it be research? No. Not for the overwhelming most, notwithstanding the widespread posturing. There is little about what most psychologists ever did in grad school that amounted to science, or even a sound scientific method, and there are professions with far higher skills as scientists, investigators and decision-makers.) Psychological testing therefore is that niche, an outgrowth of that claim to being a special sort of data-gathering scientific type, and for that reason it is turf that is jealously guarded by psychologists (along with the funky -- and relatively recent -- insistence that practitioners also be referred to as "doctors" outside of academia -- the conflation with physicians and the psychiatric medical specialty in particular is deliberate.) The "house of cards" (Dawes) falls if psych testing is outed as not much better than parlor games, astrological chart plotting, or ad hoc love and personality "tests" invented by the authors of articles in women's magazines. Psychology students are taught to assume that psychological tests are "researched" and legitimate, and that they impart valid information. The students come to believe that psychological testing plus enough application of the right additional ordinary "data", somehow will give them the answers that will make them experts. The problem here is that neither the psychologist nor anyone else clearly can articulate and identify what that data is that is needed to be gathered in any given situation. It's not like ordering an XRay or a blood test. And when the knowledge doesn't happen in grad school, and it's still elusive after a few years of practicing their profession, having learned to look to authority for answers, psychologists continue to assume that others do have this knowledge, that their confusion is their own failing, and they start to fake having the expertise too. If plotting test scores and getting back computerized reports sounds much like how astrology operates, that is not coincidence. By considering the generic suggestions in light of known facts ("data"), these tests spit out meanings (right or wrong) from which, ostensibly, truths will emerge, courses of action will become apparent, recommendations can be uttered, and "treatments" can be sold. They are like expertise cheat sheets. The clinicians then can bungle along with hypotheses and "therapies" (some common sense and some just made up out of whole cloth, either by them or by someone doing "trainings"), because the fakery is covered by the authority of test results and test publication literature. More appointments and more time mean more money, and there are no results guaranteed (or goals even necessarily set). Once out of "supervision", clinicians can relax and just wing it, and do. Their bogus diagnoses, inefficacious "treatments" and lack of results remain unexamined, aided by heavy confidentiality laws, public naivity, and medical insurance. For those who become forensics, however, there is no time for this hit and miss, guess and mess. A product, answers, is expected by the courts. Since the forensic does not have long-term familiarity with the subject matter in order to collect information of the kind that might facilitate the application of common sense and critical thinking, lots of rules and protocols get invented (by consensus) to lend the appearance to those buying the "scientific expertise" that there is something there of substance. The illusion of substance and actuarial objectivity is bolstered by the giving of psychological tests to extract from the "mind" the mysterious personality or DSM malady that is not real either. Promoting this, test publishing companies churn out reams of lingo-laden "studies" attesting to the validity of their own products. For forensics, keeping up the pretense of knowing what they are doing becomes paramount. They speak sagely about how this or that is "data" because it sounds scientific. They denigrate common sense, solutions that could be offered, or observations that readily could be made be made by most anyone. They publish. They study how to "control" the cross-examining lawyer and the courtroom and influence the judge when testifying. They build lengthy CV's with pages of fluff. They consult with each other to create consensual procedures to circumvent laws against junk science and non-expert opinion testimony. They cite to ideologically biased or financially motivated "literature" with ideas that are not close to methodologically sound, or even research at all. The more brash and creative invent their own protocols, and are validated for doing so when other psychologists use them. They join interdiscipinary groups with lawyers and therapists of various kinds, teach and "present" at conferences, develop referral networks, and lobby for legal protections for the trade and more make-work in the courts. Sooner or later, many psychologists acquire the fear of being outed as a frauds. This results in the development of carefully guarded demeanors and defensive arrogance (also claims to having "clinical judgment", or to be in part practicing an "art", all of which is just a way of legitimizing fakery). Often still assuming it's them, and not other psychologists, most continue looking to authority (no matter how bogus), and to "consensus" (groupthink), and to arbitrary protocols for justification that they are doing the right thing and that their information is correct. Others just become cynical and corrupt. If called out, the forensics blame clinicians as dangerously unscientific, cherry pick citations (or vaguely reference author names), and claim that there is more recent "research" "in press". Therapists assert that that they are the ones with experience actually helping people, and that forensics don't have people skills. Academics say it's "the few bad apples", engage in interesting "debates" over superficial esoterics that never question the underlying lack of a unifying scientific theory, and push their books and "more trainings". By these and other activities, the industry reinforces an illusion, the presumption of expertise -- ironically, a proposition completely at odds with reverence for authority and a pretext of knowledge by consensus. They do become experts, but at marketing. Common example, real case 2012: a bad custody evaluator, a "travesty" of justice, corrected by a sharp judge. Clark v. Clark, September 15, 2010 Fla. 4th DCA: "material harm of an irreparable nature [to allow] expert to exclude recording, reporting or other people from being present". It doesn't matter WHAT the protocols are. It doesn't matter how unbiased the examiner. It doesn't matter how copious the information gathered or how conscientious the assessment. For getting at the "truth", it absolutely doesn't matter how much training the evaluator has in domestic violence, feminism, fathers' perspectives, or abuse defense. All the training does is create a belief bias. The general public -- and this includes judges -- need to be educated that there is very little expertise in forensic or applied psychology. There is no predictive power. There is absolutely no way to take sociological surveys about groups of individuals -- and this includes psychological testing -- and apply any of it to one individual. At best, we have insightful guesses. But training in psychology does not improve insight; those who go into the field frequently do so because they are people who already have problems and lack the insight to figure them out. And the training itself is as likely as not to diminish this cognitive function as its practitioners learn to deny their own flawed human cognitive synthesizing in order to substitute an even worse rote protocol under the pretext of neutral scientific investigation. There is no science. There is no falsifiable unifying theory with causation and prediction. There is no expertise. There is only familiarity with the presumptions, protocols and lingo of the field, just as one would find with "expertise" in astrology. No matter how expertly mapped, or with what nuance and consideration of all relevant details, the positions of the stars still say absolutely nothing about anything. "Rule of man" is a concept that we ditched with the formation of this country in favor of "rule of law". Our founding fathers recognized that there is no way to regulate or oversee individuals given too much discretion or dictatorial authority. With regard to the family courts, I keep hearing and reading what are essentially inane pleas to fix the various misguided ADR programs via "guidelines" (aspirational only, and with immunity from sanction for misfeasance), and for "trainings", and for getting rid of those who are "incompetent" -- all of which suggestions exhibit an astonishing lack of appreciation for the stupidity inherent in these extra-judicial ideas -- ideas which Thomas Paine and our founding fathers would have abhorred (see, e.g. Common Sense). Dictatorship cannot be permitted not because there couldn't (theoretically) be some wise and beneficent dictators who would be better and more efficient than the messy system of due process and checks and balances we idealize, but because under that dictatorial system we inevitably and primarily will suffer the fools, the tyrants, and the corrupt. And that's without addressing the panoply of other constitutional defects. Besides, no scientifically sound research actually establishes "harm" from the adversarial system -- or benefit to families' well-being from applied therapeutic jurisprudence. These ideas were invented in mental health trade promotion groups as lobbying talking points. (If you doubt this, feel free to contact me for more information.) Yikes. What are we doing. To the extent we've been sold a bill of goods, swampland, snake oil and the voo doo of "expertise" by the mental health professions, at least until relatively recently, the stuff wasn't harming our legal system. Now it is. Wake up, and wise up.